Color blindness is a lack of color vision. It is the decreased ability to see color or differences in color. For example, color blind people can find it difficult to find out which color shirt they are wearing. 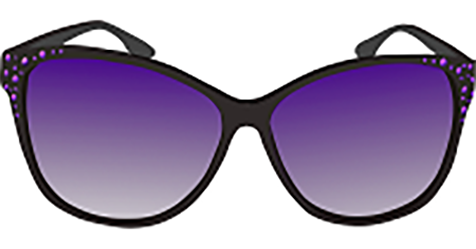 But now a new technology in the form of purple lensed glasses is going to solve the problem. The technology blocks a certain wavelength in the color spectrum. It helps allow the person wearing the glasses to see the color everyone else can see.